Update: making progress, the list now includes tipsfromthetopfloor.com (took a bit longer because I had to make sure there was no interruption or side-effects on the podcast delivery). Once I’m back from Russia, I will get to work on the rest of the sites. It’s about time to revamp my web hosting. So far, it’s all on one dedicated server (as in a hardware box with spinning disks, mirrored albeit) and the system has served me well in the past. It’s getting a bit long in the tooth though and the cloud offers everywhere are quite intriguing. Especially as many of them run on really fast hardware, SSDs, quick networking and the flexibility is beyond anything I’ve ever had. Fire up an instance with the click of a mouse. Add a temporary server for a special purpose, delete it later and pay by the minute. One hoster that I like is DigitalOcean. I’ve been playing with a test instance for a while and it’s been really good. And fast. The only problem was that they didn’t offer anything in a managed fashion. Bare (virtual) iron isn’t my thing anymore. 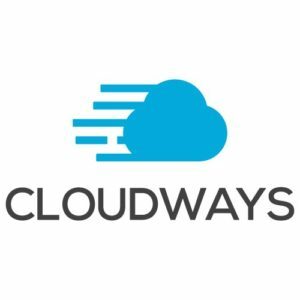 I need a shell, I need cron jobs, but I definitely don’t need the responsibility of a full-fledged sys admin.. so I’ve been looking around and finally found cloudways.com who seems to combine the best of both worlds. They offer a good level of clickable management (like adding a Let’s Encrypt certificate to a website with a click) and they will host your sites on a whole range of hosters. Including DigitalOcean. Perfect. So today I’ve spent a few hours migrating over a couple of minor wordpress instances and sites: viewfindervilla.com, absolutanalog.de, chrismarquardt.com and my personal “stuff-that-doesnt-go-anywhere-else” blog soapbox.chrismarquardt.com. I’ll let those run for a while, and if things work out as I hope, then the big chunks (e.g. several podcasts and my mom’s cookbook) will follow. I’ll need to untangle a few things on that server though. Including my email forwarding. Any hints on a great dedicated service for email management and forwarding?